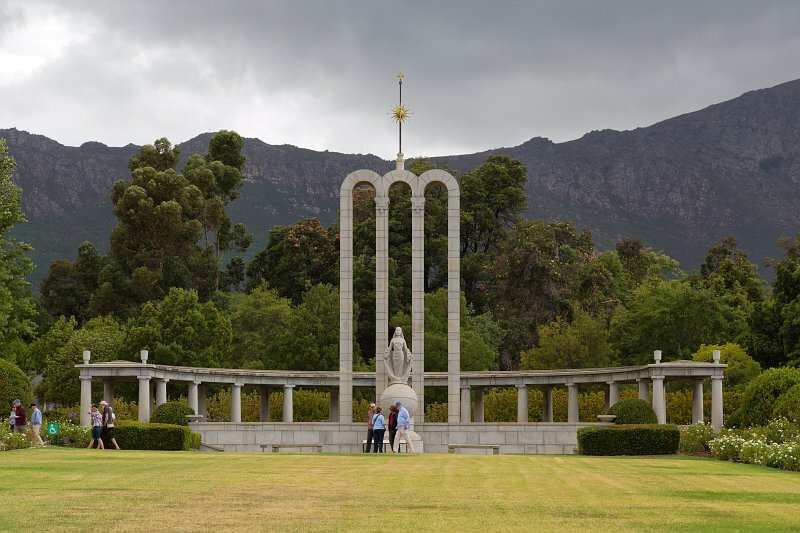 The Huguenot Monument is dedicated to the cultural influences that Huguenots have brought to the Cape Colony after their immigration during the 17th and 18th centuries. The three high arches symbolizes the Holy Trinity. On top of the arches is the sun of righteousness and above that, the cross of their Christian faith. The central female figure personifies religious freedom with a bible in her one hand and broken chain in the other. She is casting off her cloak of oppression and her position on top of the globe shows her spiritual freedom. The fleur-de-lis on her robe represents a noble spirit and character.